The Art of Fitness is a way of living. It was conceived to provide you with insightful and invigorating lifestyle changes. It has been created to enhance and improve your life by empowering you with the means to achieve a more fulfilling, healthy life. The core principles of Commitment, Consistency, Diet, Exercise, and Rest and Recovery will assist you on your journey with the hope of improving the quality and vitality of your mind, body, and spirit. Those who embrace these principles with both diligence and joy will reap the rewards of better health. Be inspired to continue on your path to deeper levels of self enhancement. 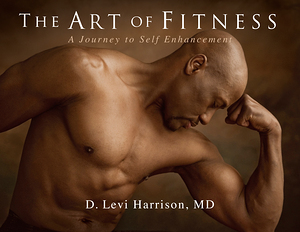 Make The Art of Fitness your personal companion for this journey.